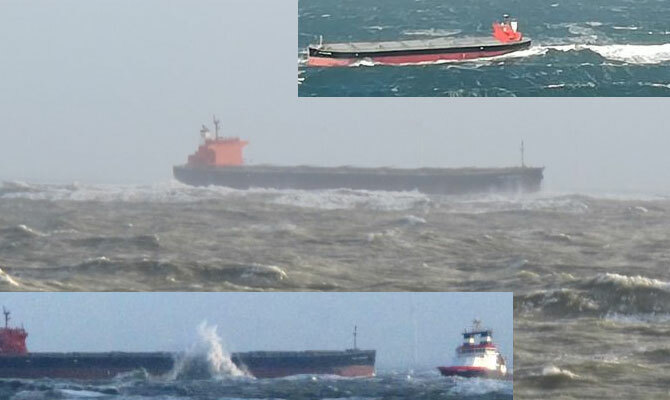 Bulk carrier GLORY AMSTERDAM was pushed aground by storm Herwart on eastern Langeoog coast at around 1730 UTC Oct 29, notwithstanding tugs assistance. GLORY AMSTERDAM was anchored at DW anchorage, Helgoland, at around 0600 LT Oct 29 anchor dragged, vessel started to drift towards Langeoog. Tug took her on tow, but towline broke, further attempts to give in tow line failed because of strong wind and heavy seas, and GLORY AMSTERDAM, finally, drifted aground. Two SAR tugs (NORDIC and MELLUM) and two port tugs (JADE and BUKSIER 9) are standing by, awaiting weather improvement. Bulk carrier is in ballast after offloading her cargo in Hamburg, she moved to anchorage to wait out the storm, to return to Hamburg afterwards. Tugs will attempt to refloat GLORY AMSTERDAM in the morning with high water. Bulk carrier GLORY AMSTERDAM was disabled in North Sea north of Wilhelshaven, assisted by tugs, moved or drifted close to Langeoog. 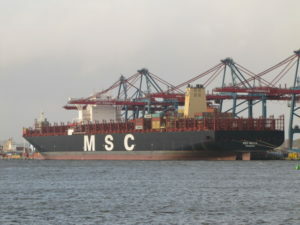 As of 1630 UTC Oct 29, she was near Langeoog, probably at anchor, with SAR tug NORDIC at her side. Can You Tell What Kind of Marine Creature This Specimen is Found in New Zealand?